I'd heard the term 'Nature Deficit Disorder' bandied around for a couple of years, for example in National Trust literature, but to be honest I didn't know much about it, other than the images that jump to mind of kids staring at grey concrete walls and slowly going out of their minds. So I thought that for this post I would share what I have learned about it and a few thoughts I have on it. The term was coined by the American author and child advocate Richard Louv in his 2005 book 'Last Child in the Woods'. In the book he apparently linked worrying trends in increasing levels of childhood obesity, depression and attention disorders to the decreasing amount of time children now spend outdoors. Even for me growing up in the 1980s I saw there was already a divide between the parents who kept there children in out of fear of 'stranger danger' and road traffic and those who let their children play out as they had done themselves. The motivations of both groups were solidly with their child's welfare at heart, but the 'keep them in, keep them safe' group of parents has increasingly gained numbers, with good reasons when it comes to the increasing risk from volume of traffic on the roads, and understandable reasons with regards to child abduction risk (although this is supposedly actually a very low risk, blown out of proportion by the media, since most child abductions and homicides are committed by family members, not strangers). Even walking to school has become an unusual thing as the old catchment area boundaries have been changed (UK) so that children do not automatically go to the nearest primary school to their home, and small schools are often closed in favour of large 'efficient' schools. At school and at home much of children's time is now spent in front of a screen of some sort, it doesn't seem like a huge leap of the imagination to make the connection between this rapid change in how children experience childhood and some of the social and health concerns we currently face. I can't quote any of the research that has been done into this to judge whether it is a real phenomenon, but it certainly sounds plausible. 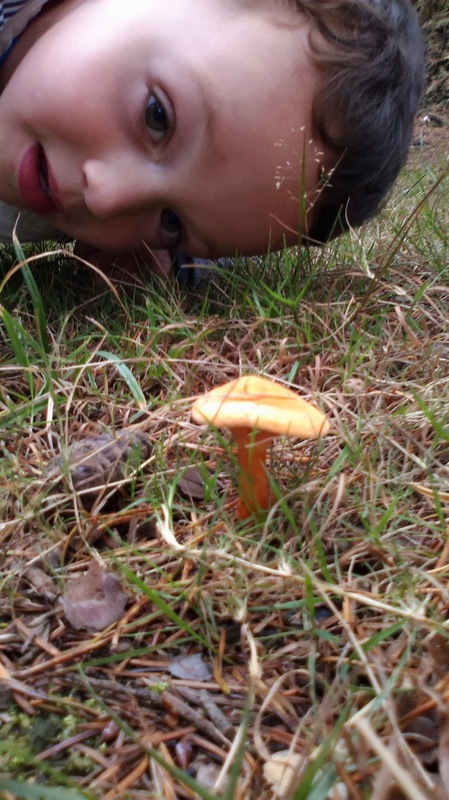 My own experience of working in the Outdoor Education Industry and as a mainstream teacher is that children labelled as disruptive, unmotivated and behaviourally difficult are often unrecognisable when given the opportunity to learn outside. 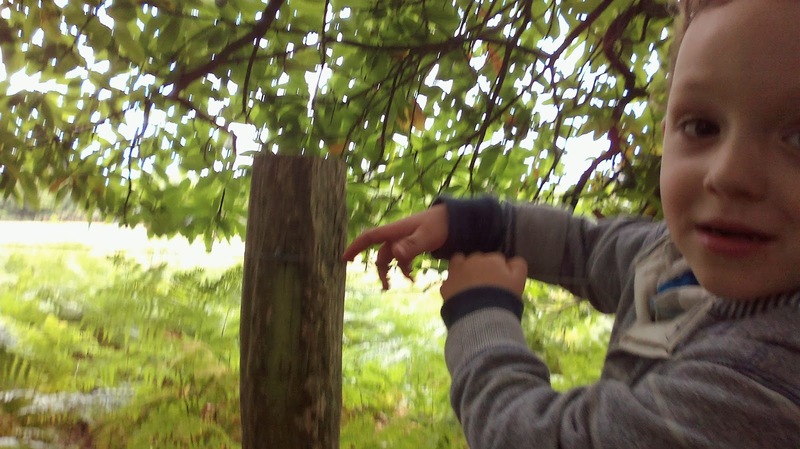 I'm a big fan of the Forest Schools initiative in which trained staff bring children into a natural woodland setting to deliver a wide range of lessons. Children learn best by doing, whether it is the fine motor skills associated with gathering and manipulating woodland materials to make a mandala, or learning the maths skills necessary to calculate the height of a tree. Even when they're 'just playing' they are developing all sorts of skills - your homework for today is to think of all the skills involved in a group of kids, or a family, building a stick den together. 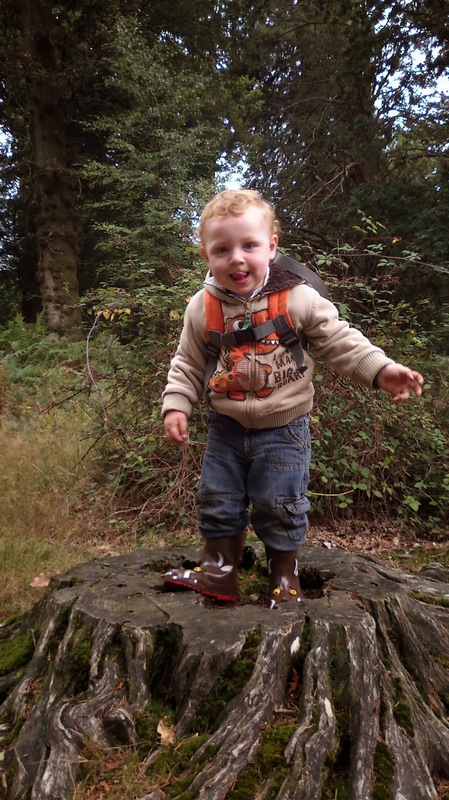 The National Trust and the Forestry Commission are leading the way in providing opportunities for families to spend time experiencing nature in a way that benefits everyone. This weekend we spend an afternoon at Bolderwood in the New Forest in Hampshire and, in addition to the pleasant ramble we expected, we were pleased to find that there was a children's activity van set up with items such as different deer antlers and skins to handle, plus active encouragement and provision of resources for den building. Even the parts of childhood that can be so frustrating to parents are of immense value to children. Ollie insisted on taking a picture of every fungus he found, which meant for a slow walk but one packed with interest for him in hunting them out and crouching down to examine them. 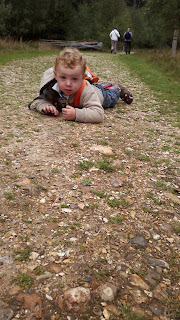 Toby is obsessed with stones and minibeasts, and I'm not sure which ultimately held his interest the longest on this walk, but it involved him lying full length on the path staring at something and refusing to carry on until he had inspected it fully. If you're planning on a brisk hike through the trees, you're in for a frustrating afternoon, so we have to try to step back and think what we're actually there for. Cardio workout it was not, but perhaps it does your heart just as much good to try to relax and enjoy kids exploring at their own pace. 1) Our eyes benefit from looking at objects at different distances in order to build the muscles we use for focussing. That old adage that sitting too close to the telly gives you bad eyes might just be true (or with your nose constantly in a book like I was as a child. As a -10 myopic you can't get much more short sighted than me). Our eyes also need plenty of fresh, clean air and unless you're there when the trees are shedding pollen forest air is about as clean as you'll find anywhere. 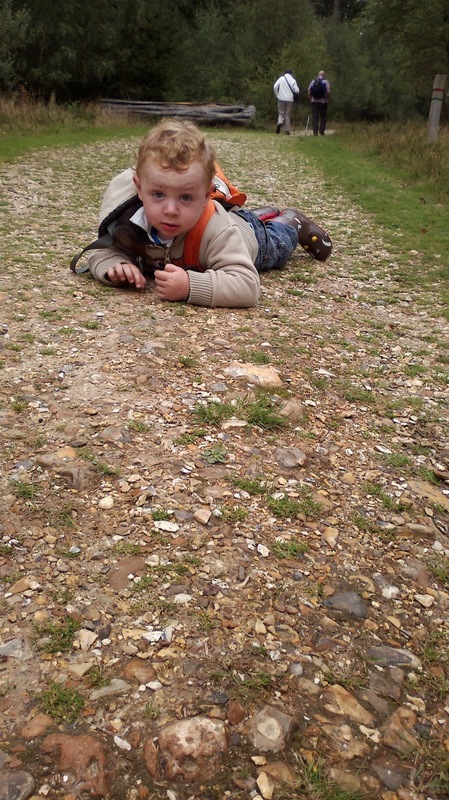 2) Walking on uneven surfaces is important for developing obvious things such as children's sense of balance, but may also be linked to the development of their cognitive abilities because uneven ground requires more concentration to navigate than a flat path that allows your brain to zone out. 3) The air in our homes is often heavily polluted with Volatile Organic Compounds from paint, carpets and furnishings, and the air in our cars has all of these plus fumes from the engine, which have been shown to be in greatest concentration in the rear seats, so getting out into the woods gives our bodies a break from trying to protect us from these air borne nasties. There are some studies that suggest that walking in pine forests in particular has a beneficial effect on lung health. 4) The colour green has been shown to have a calming effect, reducing high blood pressure and mental stress, so time spent in the predominantly green environment of a forest is a good way of helping children (and adults) to offload a stressful week, which in turn will improve concentration. 5) Fun together, which in these time pressed days is possibly the most important benefit of all.